Nantahala Outdoor Center offers outdoor adventures at multiple Southeastern locations! Choose whitewater rafting on the Nantahala, French Broad, Pigeon, Ocoee, Chattooga, Ocoee or Chattahoochee Rivers. Visit NOCs main campus at the intersection of the Appalachian Trail and the Nantahala River for zip lining, mountain biking, or exploring Lake Fontana in a kayak or SUP. Between adventures, check out NOCs riverfront restaurants and retail stores – or spend the night in a cozy trailside cabin! 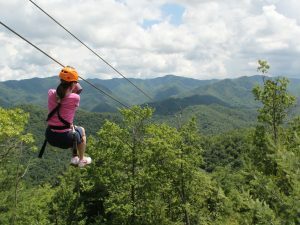 Soar high above the Nantahala River Gorge on NOC’s world-class Mountaintop Zip Line Tour, or join us at our Zip Line Adventure Park for a thrilling obstacle adventure.